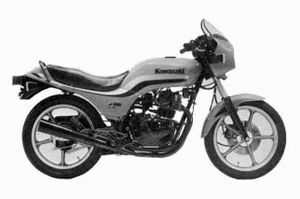 The Kawasaki EX305B is a motorcycle produced by Kawasaki in 1983. Remarks: High grade sports twin. 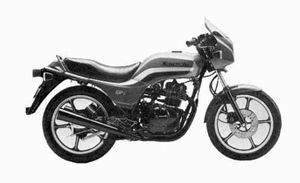 Front disc brake, rear drum brake, cast wheels, chain drive, fairing, air adjustable front fork. Electric starter, CDI system. Remarks: Basically same as EX305-A1 except final drive system with belt drive. This page was last edited on 26 August 2010, at 18:02.